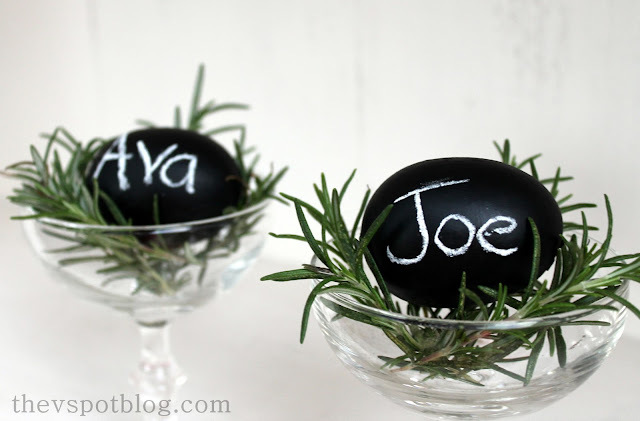 Last week I shared a tablescape for an early Easter Brunch. I realized there was something missing… Place cards. 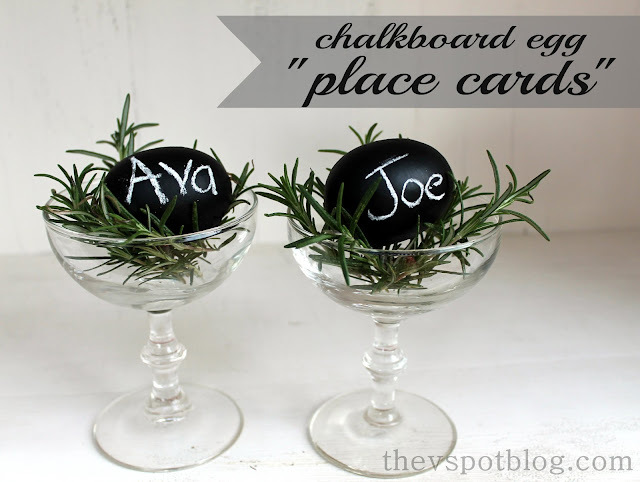 I quickly whipped up a couple of fun DIY chalkboard eggs “place cards” using plastic eggs and chalkboard paint. 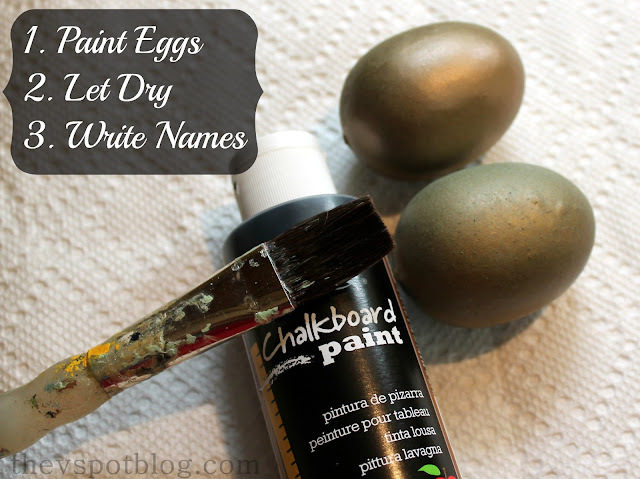 Grab some chalkboard paint and paint some plain plastic eggs. Do not use the eggs that come apart so you can fill them with candy, etc. The seam will show. I repainted some foam eggs that were a previous craft project gone wrong. I love this idea. I never host Easter, but if I did, I would totally do this. I like the idea of a lettuce leaf, then you could have it double as an appetizer. Sit here, and enjoy your lettuce leaf! How cool! They look so neat nested in the Rosemary! Tablescape ideas for an early Easter Brunch.